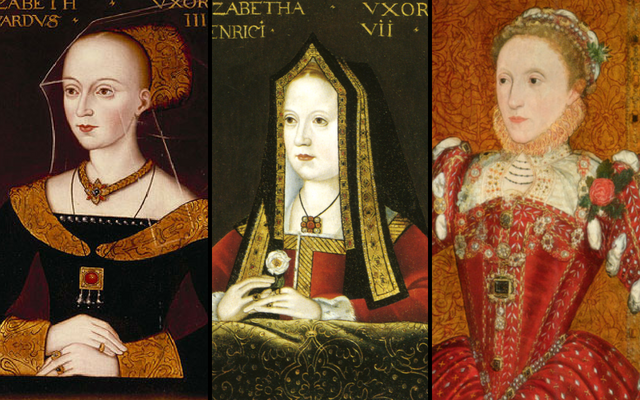 From 1461 to 1603 there were three Elizabeths with the title of Queen – granted two were Queen consorts and one was Queen regnant, but regardless, for the sake of this post they were all queens. The first Elizabeth, Elizabeth Woodville, was a commoner who married King Edward IV in secret and caused an uproar at English court. Many, including the “Kingmaker” saw the King’s choice to marry the widowed Woodville as unacceptable. The country was in the midst of the War of the Roses and even this marriage could not stop others for vying for the throne of England. Elizabeth Woodville was a strong woman in her own right. It appears her main objective was to ensure her children received what was rightfully theirs in the end. Unfortunately, she lost two sons in the Tower after her brother-in-law, Richard III deemed them illegitimate. The two princes were never seen again. Elizabeth was instrumental in negotiating the marriage between her daughter Elizabeth and Henry Tudor – an act that would end the War of the Roses. The second Elizabeth, Elizabeth of York, was the eldest child of Elizabeth Woodville and Edward IV – she became Queen consort when she married King Henry VII a couple of years after the Battle of Bosworth. 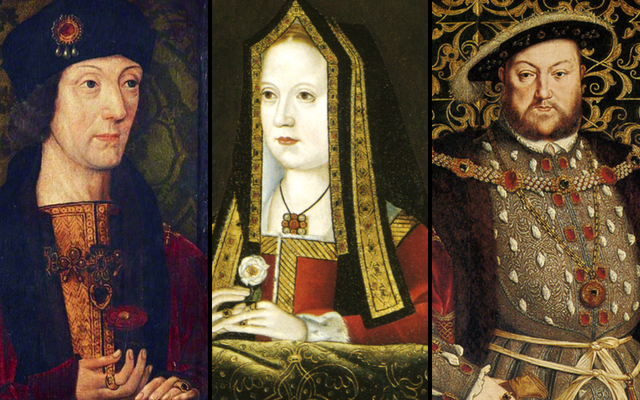 Their marriage inevitably ended the Wars of the Roses by joining together the houses of Lancaster and York. The third Elizabeth, Elizabeth Tudor, was the daughter of Henry VIII and Anne Boleyn. She became Queen Elizabeth in her own right in 1558. 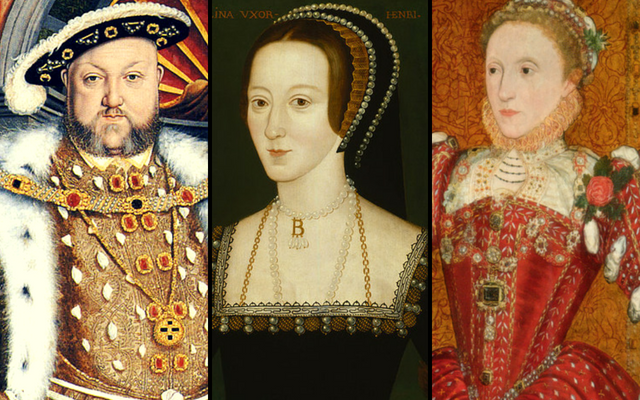 Elizabeth was declared illegitimate by her father when she was just a child but was eventually named as a successor after her brother (Edward VI) and older sister (Mary I). Neither sibling had children. The hand of fate made it that the daughter of Anne Boleyn became Queen Regnant of England. Anne Boleyn would have been proud. Elizabeth Woodville gave birth to Elizabeth of York, who was also the daughter of Edward IV. Elizabeth of York gave birth to Henry VIII, who was also the son of Henry VII. Henry VIII’s second wife, Anne Boleyn gave birth to a daughter, Elizabeth (future Elizabeth I). Queen Elizabeth I was the granddaughter of Elizabeth of York, and great-granddaughter of Elizabeth Woodville. 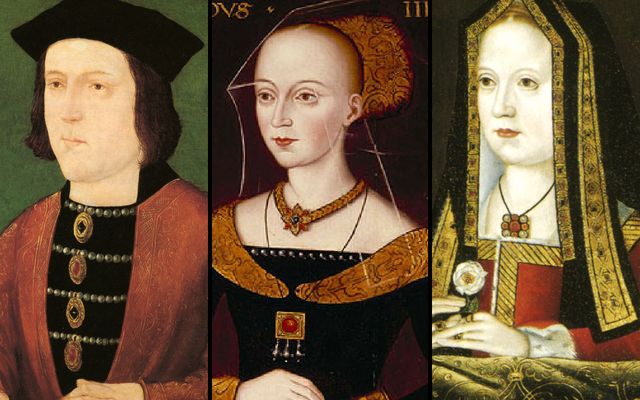 What would Elizabeth Woodville have thought of her great-granddaughter’s reign? Would she be proud of Elizabeth or disappointed in her for not having any children and ending the Tudor line? Both Elizabeth Woodville and her daughter Elizabeth of York were very fertile woman – having many children. During the reign of Edward IV, Elizabeth Woodville was referred to as a woman who wanted power and would do whatever it took to bring titles to her family and to ensure her children were offered every opportunity that a royal prince or princess were entitled to. Elizabeth of York on the other-hand, is only referred to in loving tones. Something her mother never truly experienced. Elizabeth does not appear to be a vocal counterpart of her husband (the King) unlike her mother. Would she have been proud of her granddaughter? Elizabeth I was very similar to her great-grandmother, Elizabeth Woodville – she was strong, bull-headed and confident in her title. She knew what she wanted and for the most part got it….save Dudley. That wasn’t meant to be. Not sure about Elizabeth Woodville’s character, I’ve read it both ways (actual history not fantasy). Then again history is wrote by the victors. Elizabeth I, she was very true to herself. And if I was in her shoes, I’d been just like her. Men bring you down. Especially in that era. I think Elizabeth Woodville would have been extremely proud of Elizabeth the First. But somehow I do not thing the Elizabeth Woodville would have wanted or cared if a Tudor line was contined, since the Tudors killed Richard the 3rd and might have had a hand in the deaths of her 2 sons. Then there is always the question of what Elizabeth of Yorks relationship with her uncle Richard was? ?? And was she truly the “spoils of war” as related by the French and Italians,” since these couriers saw her as both sides, with Richard and with Henry, would she be proud of her grandaughter, yes and fearful. Is it settled that the Tudors had anything to do with the killing of the princes? Definitely not. It’s more believed that it was someone inside RIII’s circle. It makes more sense. Now, the Ricardians will argue my statement but many say it is impossible for the Tudors to have been involved.